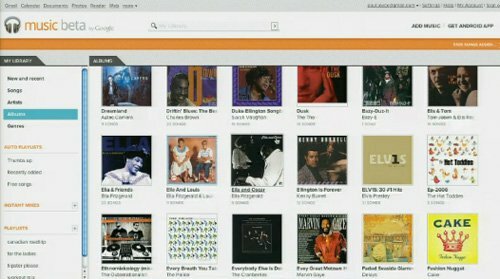 Google has taken its first steps into cloud media today with Music Beta, which allows users upload up to 20,000 songs that they can then stream from either a web browser or an Android device. Listeners can even “pin” music to a mobile device to have a permanent copy of those songs to play while “offline”. I wonder what Apple thinks about all of this. There’s also a new playlist feature called Instant Mix, where Music Beta ‘listens’ to the music and uses the sound of the music to automatically generate a playlist. A Music Manager desktop app for Macs and Windows PCs will allow users to automatically grab and upload their iTunes or Windows Media Player collections to the cloud as well. We’ve seen variations of it over recent months and years through Google Webmaster Tools and Labs, but the full official tool is now here. 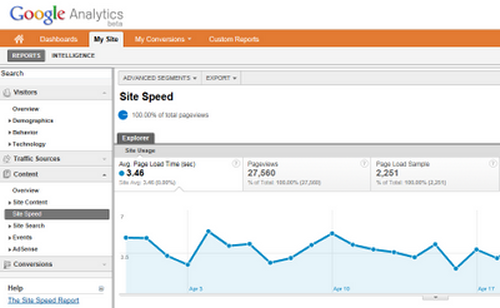 Google reminds users that page load speed impact not just their own site conversion rates but also their AdSense offerings and their standing in Google search results. Google had decided to pull the plug on Google Video, but now it seems that the company has had a change of heart and has put that plan on hold. They are telling users that they are looking for “an easier way” to migrate all of those videos to YouTube. Originally, Google gave users a choice between downloading these videos or Uploading them to YouTube before it erased them for good, but now they plan to automatically transfer content to YouTube themselves. Seems like that should have been the way to go from the start. Well at least you can rest easy as your videos should live to see another day. I’m not sure who would have videos stored at Google’s Video service at this point, but if you do, you better get over there and get them quick. This weekend, Google sent a notice to users that it was shutting down the hosting service. They had already stopped taking uploads two years ago. Google suggests that you migrate your material to YouTube, which is Google owned of course and doing quite well for itself in case you haven’t heard. Google Video began in 2005, the year before Google bought YouTube and now it is time to clean house. 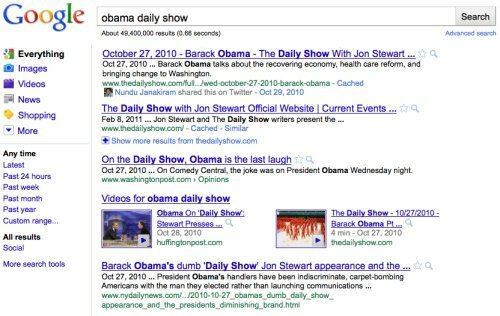 +1 is making its way into Google search results. This means that soon you will be able to “rate” links or ads you find useful and this will be used to tell your friends about the value of that site. Recommendations are filtered to make them as relevant as possible, while people within your social sphere (Gmail etc) get a higher priority. This will no doubt help Google to improve their social network side and maybe stick it to Facebook just a little bit. The +1 button will start with English Google search and ads soon. Me? I give it a -1. Are we replacing relevancy with popularity? Probably not since Google wouldn’t want to kill it’s moneymaker, but still, this seems like a road better not taken. Popularity does not equal relevancy. I guess we will all see how this goes. Google has made its pick for the Google Fiber project today and said that it will first roll out the 1Gbps Internet access in Kansas City, Kansas. Good news for folks there. The city was picked from about 1,100 candidates in all. The service should go live in 2012 if the Board of Commissioners signs on. The project is basically a real-world way to test the future of high speed Internet connections. We need to prepare and a 1Gbps connection has more than enough bandwidth for streaming 3D video and other tasks that lie ahead. More bandwidth opens up a lot of possibilities. Real-time telemedicine, remote education, and perfect quality video conferencing to name a few. After almost 10 years, Google has won a patent for its “Google Doodles”. The patent is titled “Systems and methods for enticing users to access a web site” and protects Google’s system of changing a company logo to go along with a special event. Google co-founder Sergey Brin is said to be the inventor of the system. A patent on doodles might seem a bit silly for a company like Google, but since we all associate the practice with that company, it’s a good thing for them that they now have a patent. Google’s Mobile App that’s been around on iOS for awhile has now been updated and has a name change. 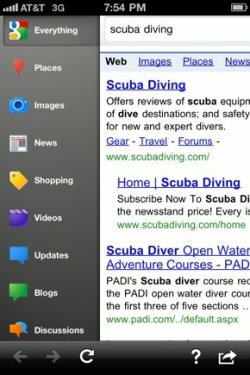 The app is now called Google Search and it packs some new useful search features for the iOS platform. For one thing, there’s a new toolbar when using Google Search. If you want to filter your search results into different categories like you can do on the desktop version of Google, the toolbar makes it easy to do on your iOS device. Just swipe from left to right on the device and a toolbar will appear. Select the category and the results on the right will be filtered according to your choice. Pretty sweet. Google has announced a new way to automatically sort out the mail in your Gmail account, with Smart Labels. Gmail already lets you create your own labels if you want to label your mail, but if you want it done automatically Smart Labels will do the job. You get 3 new labels in all: Bulk, Forums and Notifications. Gmail will detect which emails fit into those categories and label them accordingly. Emails labeled Bulk are things like newsletters and promotions, while Notifications are account statements and receipts. Forums are group mailing lists that you are subscribed to. Pretty simple stuff. If a message doesn’t get labeled correctly, you can fix it and even tell Google so they can improve the system. 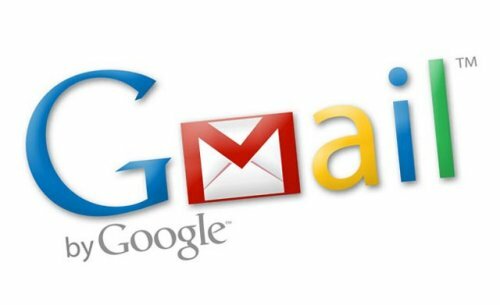 According to an official announcement from Google, the recent issues involving a number of Gmail users who lost all of their old emails has been resolved. They claimed it was fixed a few days after it came to light, but it hadn’t been completely fixed, as a number of Gmail users were still without access to their old emails. Now however, Google’s latest statement says that all of these issues should be fixed, but if anybody still has problems with Gmail, they should contact Google. It’s a good lesson to learn about not completely relying on cloud computing. Offline backups of your email might be a good idea. 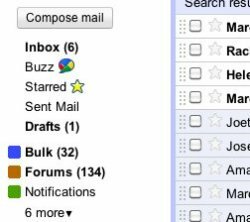 It might be a good idea to backup your gmail account. Now would be a good time. As many as 500,000 Gmail users lost access to their inboxes this morning and some of them are even reporting that years worth of messages, attachments and Google Chat logs have vanished when they were able to log back on. That’s pretty frightening stuff, to think that you could lose all of that info so easily. Apparently the bug reset some accounts, treating their owners as new users, even displaying welcome messages. Google says that the issue “affects less than .29% of the Google Mail userbase,” and of course engineers are working to fix the issue. Google has updated their social search feature, and now social search results will appear within normal search results. Previously social search results only appeared at the bottom of the page. Google has also made other changes to its social search and it will now integrate search results from Twitter, Flickr and YouTube. They have added notes for links people have shared on Twitter and other sites. Previously, they would show you results people created and linked through their Google profiles. Now, if someone you’re connected to has publicly shared a link, they may show that link in results. Google has seemingly invaded every aspect of our lives and now it has rolled out a site to help you create your own wedding, edit photos and plan the wedding using Google’s tools, like Sites, Docs and Picnik. 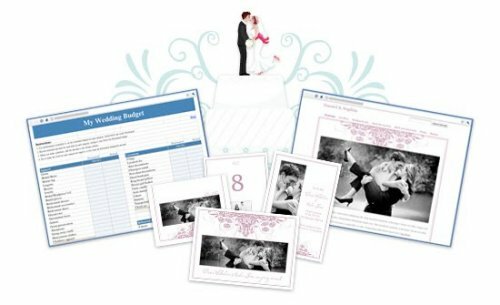 Google teamed up with wedding planner Michelle Rago for the templates. She also provides tips for the couple. There’s also a wedding sweepstakes for $25,000 and the chance to get Rago help plan your wedding. Sounds crazy. Would you use this? The keyboard that ships with the Logitech Revue set top box is comfortable to type on, but many people may have trouble finding a place to store it when it’s not in use. Here’s a great solution. EFO has a small keyboard that will be much easier to store. Maybe not as comfortable to use, but it is more compact. The EFO Bluetooth Google TV Keyboard has 82 keys including the typical QWERTY keyboard and keys specifically for Google TV. There’s also a track pad. The keyboard has an RF option and normally communicates via Bluetooth. It has a operating range of 10 meters and the rechargeable battery has 400mA of power. Just $52.50. $10 million to Google is like $1 for us. Just a drop in the bucket. That’s how much the company paid to buy movie recommendation site fflick. It looks like this is a strategic move to boost its upcoming YouTube movie service. It is a movie recommendation site after all. The deal is currently in progress and will help Google gain access to a Twitter-based sentiment engine that is capable of gauging whether viewers prefer a particular movie or whether it has recieved enough pre-release momentum. It isn’t clear whether fflick will survive as an independent company or will be consumed wholly by the almighty Google. The buyout should be announced formally before the week is over.